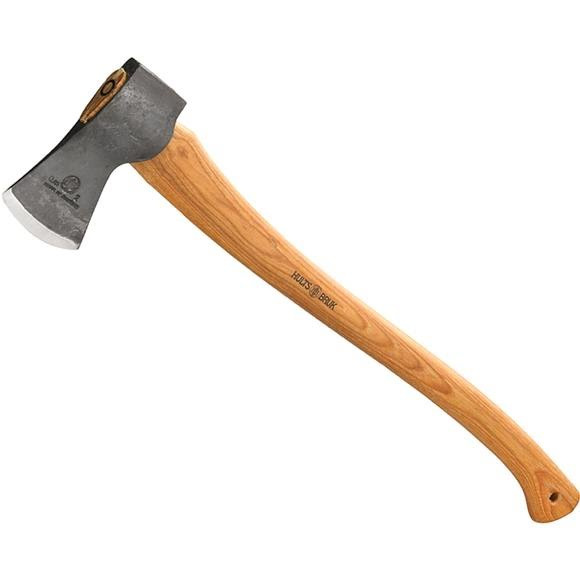 This Hults Bruk axe has a head weight of 2 lbs and a handle length of 26 inches. The head is the product of blasted and clear-lacquered ironwork. The curved shaft is made of US-sourced hickory and is treated with linseed oil. Overall Length Handle Length: 26"